A safe and dependable brake pad at a moderate price! A fantastic solution for your brake pad needs. 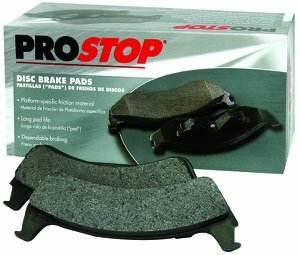 ProStop brakes deliver dependable stopping power for safe braking! The Pep Boys Say: "This pad is the safe and economical choice for the customer who wants similar braking performance to the new car."